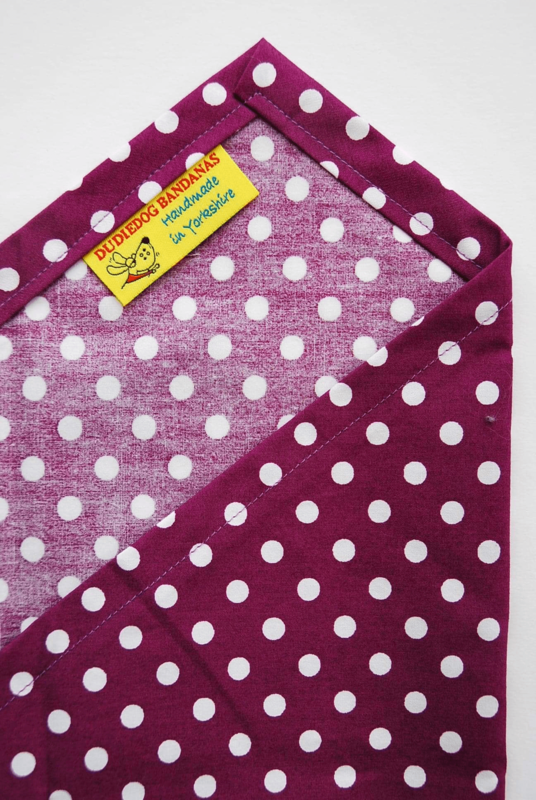 A classic purple polka dot dog bandana, a perfectly stylish accessory for any occasion! 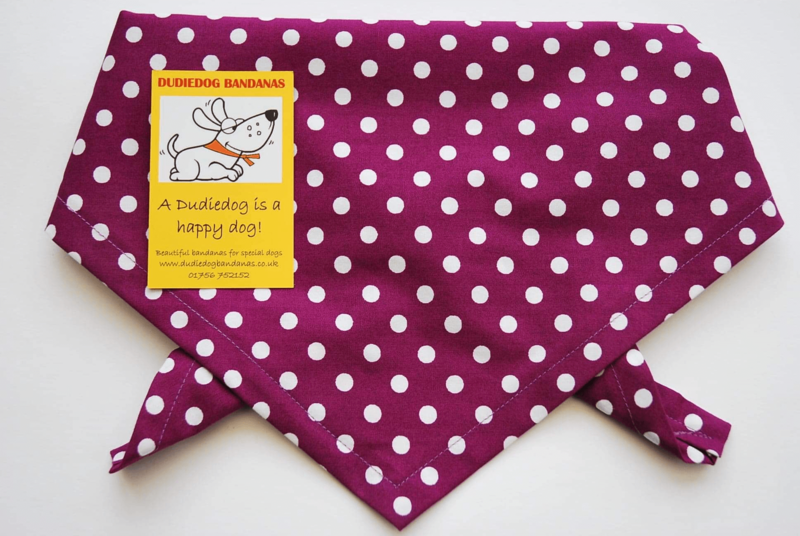 Back by popular demand this gorgeous Purple Polka Dot dog bandana is a design classic. Spots never go out of fashion, and always look super stylish and classy. 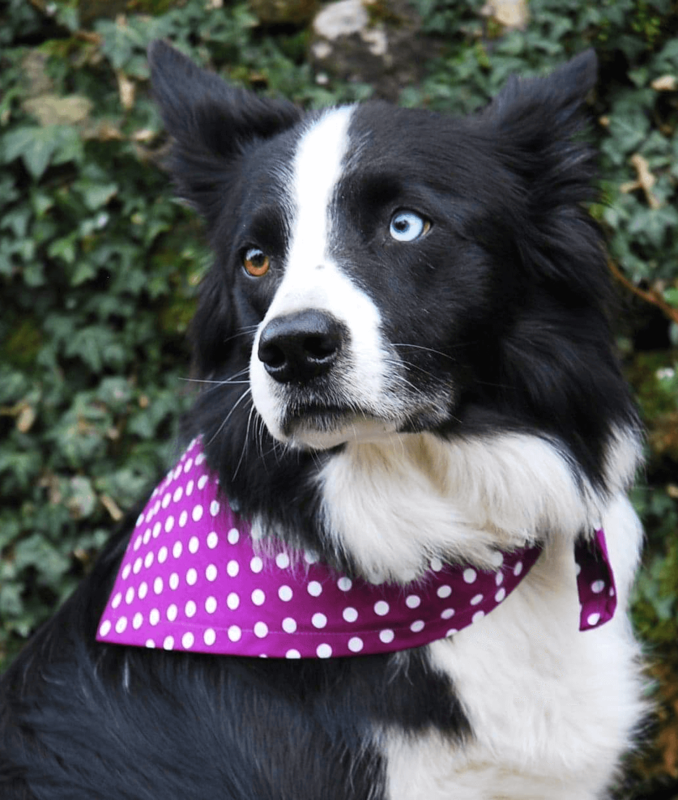 This purple bandana looks fabulous on all dogs, and makes a perfect dog gift!